Lately, many TV personalities have been walking down the aisle. Citizen TV’s Janet Mbugua Ndichu tops the list followed by the likes of Hussein Mohamed, Kendagor Obadiah and Mark Masai. Rumor has it that NTV’s Dan Mwangi is also set to tie the knot with a politician’s daughter. ‘He, who finds a wife, finds a good thing,’ the Bible quotes and I guess Dennis Okari is the luckiest man on earth. 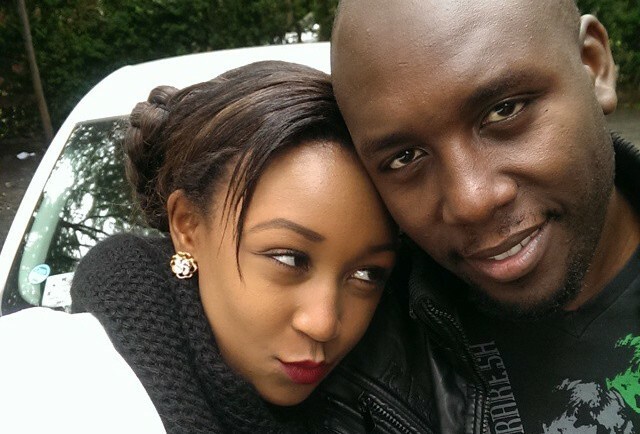 Dennis Okari and TV queen, Betty Kyalo have finally decided to wed in a few weeks time. The illustrious media personalities are longtime sweethearts and they are already blessed with a bouncing baby girl, Ivvana. They will sanctify their joining together in a clandestine ceremony that will go down on the 2nd of October at the lavish Marula Manor Grounds in Nairobi.